Two major restroom complaints are soap dispensers either out of product, or out of battery power. Anything BSCs can do to avoid these two problems? Short of installing an expensive central system with electric and multiple lines, the best solution is a manual sanitary top-fill dispenser. If an automatic dispenser is required, [use a] dispenser with a red warning light when the battery is getting low. Soap dispensers should be checked regularly as a course of restroom cleaning. All dispensers should be wiped clean and checked daily. Many touch-free dispensers have indicator lights warning of low battery or malfunction status. It really comes down to restroom cleaning routines and including the dispensers as a normal item to check, as well as (janitors) carrying a few spare refills in their kits so they always have one on hand when needed. 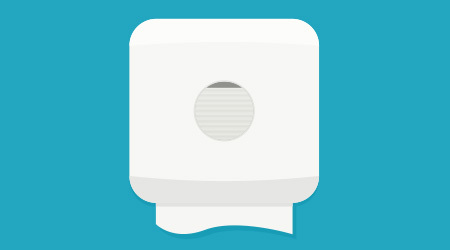 Manual soap dispensers offer the most time and cost savings, and trouble-free dispensing. There are no batteries or internal circuitry to worry about and once a user dispenses the soap from a manual dispenser, he washes all germs from his hands. However, touch-free restrooms are understandably popular and with them comes the need for battery change-outs and more proactive maintenance routines. Take a good look at the features of a dispenser with regard to energy and product use. Additionally, the presence of an indicator on the dispenser that shows the end user if batteries or refills need to be replaced is very appealing. There are dispensers on the market today that can give 2,000 dispensings with one refill and more than 20,000 refills on one set of batteries. We always recommend placing the right number of dispensers depending on the traffic in a restroom.